As a result of 2018 General Assembly action, the Virginia DMV is advising residents of important new legislation. Virginia’s vehicle title fee will increase from $10 to $15 on July 1. The Commonwealth’s title fee has not been adjusted since the 1980s and remains significantly less than the title fees charged by surrounding states. House Bill 1069/Senate Bill 575 enables Virginians whose ability to renew their expiring vehicle registration has been withheld due to outstanding road tolls to request a one-month registration extension if the current registration period will expire within the calendar month. This gives the customer time to settle their debt without impacting their ability to use their vehicle. Applicable customers must pay a $10 administrative fee and a fee for a one-month renewal. Only one extension may be granted for any one vehicle registration period. House Bill 489 permits persons with delinquent taxes or fees, including local vehicle license fees, delinquent tangible personal property tax, or parking citations, to register a newly purchased vehicle for up to 90 days. This allows individuals to purchase a vehicle, but grants time to satisfy delinquent taxes or fees. Once the taxes or fees are satisfied, DMV may issue a full one-, two-, or three-year registration. 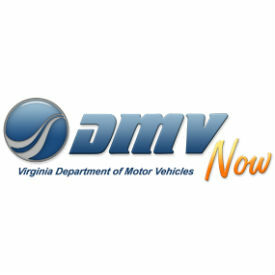 For more information, visit https://www.dmv.virginia.gov/vehicles/#stop_register.asp.